With Best Selling Designer Luxury Watches Under $500 The Watchery is Showcasing How Quality Doesn’t Have To Incur A Hefty Price tag. 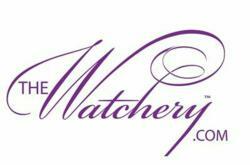 Right now at The Watchery there are site-wide savings of up to 91% off on many of our luxury watches. Now is a great time for St. Patrick’s Day shoppers to really get lucky and make friends green with envy! Today The Watchery, a top online retailer of luxury brand watches and designer watches,announced the start of their mega St. Patrick’s Day Sale. The Watchery is already known for offering mens luxury watches and womens designer watches at affordable prices, but now customers can take advantage of deeper savings as the retailer reduces prices on an array of best-selling luxury watches by up to 91% off the recommended retail price. Brands featured in the sale include Stuhrling, I by Invicta, Lucien Piccard, Movado, Swiss Legend and Dufonte by Lucien Piccard. Customers are encouraged to shop the mega St. Patrick’s Day Sale NOW as it will last for one week only. Shoppers therefore need to act fast in order to take advantage of The Watchery’s deep savings on mens luxury watches and womens designer watches for site-wide savings that include discounts of over 90% off. In addition to the one-week only mega sale, The Watchery will offer free shipping on all domestic orders as well as a 30-day money back guarantee on all designer timepieces. The Watchery’s St. Patrick’s Day Sales Event provides watch lovers with the perfect time to get lucky and purchase luxury watches at affordable prices. Opportunities to save so extensively on established designer watches—such as those by Swiss Legend, Movado and U-Boat—don’t come along all that often so savvy shoppers should seize the day (or week) this St. Patrick’s Day and shop The Watchery’s St. Patrick’s Day Sale if they are in the market for a new luxury brand name watch.